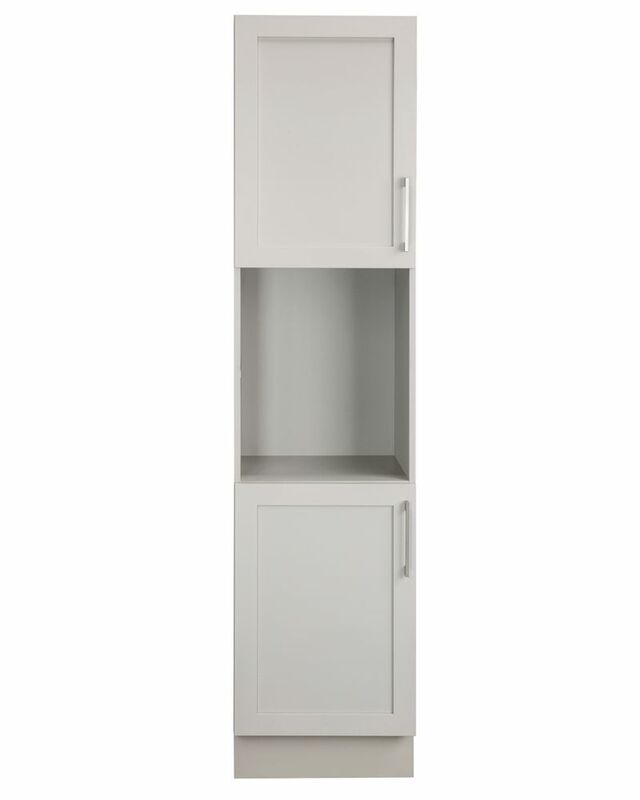 This 24 inch linen tower features a minimalist design that pops with colour thanks to the refined Twilight Gray finish with brushed silver trim and hardware. It features a solid wood birch frame, interior shelves, a toe kick for convenience, soft-close hinges, and offers plenty of storage space. It is a perfect companion to the Allie / Austen vanites. The Provence 24-inch linen tower is offered in a beautiful distressed cherry wood finish with hand carved French details. It is constructed of solid poplar wood and veneer with soft-close doors and drawers that showcase its quality. The linen tower offers a clear glass door with interior shelves and soft-close drawer for storage. 18 Inch Veil of Mist Shaker Linen Tower Left Hand Timeless yet trendy, the Classic Collection of bathroom vanities, storage cabinets and mirrors from Cutler Kitchen and Bath is a perfect compliment to any bathroom. These linen cabinets are a perfect solution to all your storage needs, available in 5 matching vanity colours door styles, supplied with brushed chrome handles, European soft closing hardware and adjustable shelves.